Geographers and critical cartographers have long acknowledged that maps do not simply and unproblematically represent the territory depicted by their lines, symbols and shading. Rather, maps participate in the very construction of such territories in the first place. Historical studies have shown the production of maps to be central to the space-claiming activities of European colonial powers, and have highlighted how maps function as tools of political power and even oppression. The representational and world-constructing power of maps does not originate in their accuracy or precision, but in their positioning within webs of practices which at once reflect and produce the cultures and societies in which maps are situated. Some of these dynamics were powerfully illustrated by a recent diplomatic controversy around new Chinese passports. The documents feature a map of Chinese territory which included Taiwan and the entire South China Sea – large swathes of which are claimed by Vietnam, the Philippines, Taiwan, Brunei and Malaysia. The map also included the Indian state of Arunachal Pradesh and the Aksai Chin region of Kashmir. This straightforward act of representation was at once an act of geopolitical brinkmanship – the drawing of a line is inseparable from the politics of such lines ‘on the ground’, in the form of border posts, militarized zones, contested resources and cultural identities. The always-already political nature of this cartography was highlighted by the response of the countries who had lost territory to the Chinese map. Complaints were lodged at Chinese embassies, Vietnam refused to stamp the new passports and, most notably, the Indian embassy in Beijing began stamping the passports with their own map which made a counter-claim to the countries’ disputed lands. India and China went to war over their border in 1962, and recent naval movements by the Chinese military have prompted some observers to speculate about the potential for future territorial skirmishes in the region. Incidents such as these point to the centrality of cartography to modern statehood. Maps are key to the nation-state’s image of itself, in terms of its territorial extent, its geopolitical relationships, and its political character and identity. Sarah Radcliffe makes just such an argument in her 2009 paper in Transactions, in which she explores the relationship between cartography and the state in Ecuador. She argues that spatial information compiled in the form of new digital cartographies has helped produce a neoliberal property system which is central to the ongoing transformation of the postcolonial state. In the Chinese and Ecuadorian cases maps are being used in very different ways, but in both cases with the aim of transforming the relationship between geographical space and political power. 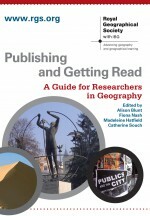 This entry was posted in Transactions of the Institute of British Geographers and tagged Cartography, Global Issues, maps, Political Geography, Spatial politics, Territory on December 10, 2012 by mwfmahony.